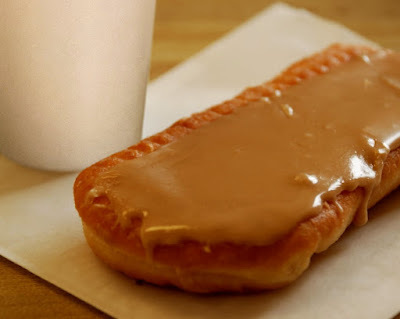 I love listening to the old men at the donut shop, jabbering on about nothing in particular, clutching half empty cups over tables bedecked with sugar glaze and cookie crumbs, chuckling with the least provocation at each other and the daily foolishness of the world, each taking turns excusing themselves to the little room down the hall, smiling and winking at the young lady that stands behind a glass cabinet that brims with sugar coated dreams, fresh from the oven. Soon enough I'll be one of them, honored to join their ranks. Thank you for visiting my home on the web. I’m not a webpage designer, so this will always be a work in progress. I have a few ongoing book projects, but I'm most excited by my novel, The Doll Man, a father and son story set in the beautiful orchard country of central Washington. It is now finished, and I am currently looking for an agent. The good folks at Writing Prompts... were kind enough to give me an online interview that you can find HERE. 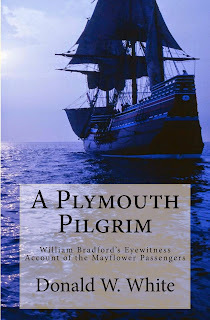 Since I was a kid I've always been fascinated with the story of the Mayflower Pilgrims, and a few months ago I released a paraphrased version of the original 400-year-old story by William Bradford, the most influential figure in the earliest years of Plymouth. This book tells their history from the early religious persecutions in England through their voyage to America and their first tragic year in New England, including what we now call the First Thanksgiving celebration. You can find more information about the book and purchase it on Amazon.com. Feel free to send me a message via the "message gadget" on this page. WHAT IS APPEALING ABOUT HIS STORIES? 1. A plain, readable style that immediately captivates readers. 2. Keeps readers in suspense, desperate to know what happens next. 3. The main goal is to tell an entertaining story that captivates readers. He doesn't focus on artistry, social commentary, or realism. If your story is not engaging, he says, then you've got to work much harder at your prose to hold attention. But if you’re just out to tell a good story, the writing is faster. You should be able to communicate your story in one paragraph that catches someone’s interest. 4. Fast pacing, with each chapter and paragraph pushing the story forward. Imagine the book as an engaging movie, keeping audiences interested, picturing the scene in their heads. 1. He first writes thorough outlines of 60 to 80 pages, with one paragraph devoted to each chapter, with specific goals for each scene. He doesn’t waste time polishing sections as he goes, because he might delete them later. 2. To help with suspense: he imagines telling his story to someone sitting across from him, trying to get the listener to hang upon every word until the end. 3. Limited description: he uses just enough description to help picture the scene and characters. 4. He writes in short chapters that help quicken the pace. 5. He works at finding the “voice” of the story first, then it’s easier to write it. 6. He remains flexible with the novel, willing to change the outline for the sake of the story. 7. He writes with confidence, so he isn't bogged down in the details of the writing. 1. He writes seven days a week -- every week. 2. His daily schedule: He gets up around 5:30am. After some writing (about 7am) he goes for a solitary walk for about an hour, then writes until 11 am or noon. 3. His office has few distractions. 4. He writes about 900 pages of outlines a year. 5. He has several projects at once. If something isn't working, he switches to another project, which keeps away writer's block. 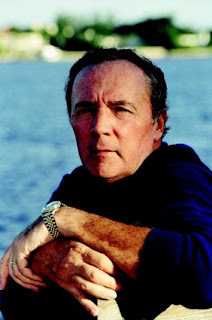 "World's Best-selling Author James Patterson on How to Write an Unputdownable Story"
"James Patterson Explains Why His Books Sell Like Crazy"
"The WD Interview: James Patterson"
"How I Write: James Patterson"
History of Plymouth Plantation: Which Edition Is Best for You? There are several editions of William Bradford's firsthand account of the Pilgrims of Plymouth. Which edition should you get? That depends on what you're looking for. Casual reading? Help with homework? Personal research? This list will help. 1) Similar to an earlier edition by Charles Deane (1856), William Davis gives you Bradford's writings in his original nonstandard spelling, which is confusing to modern readers. There is a valuable introduction by Mr. Davis, and many helpful footnotes. First printed in 1908, this is now in the public domain, and free digital copies are found online. (NOTE: beware of several poor-quality scanned editions that garble the text.) If you want to read Bradford’s book in the original 400-year-old medieval English, this is the book. 2) Harold Paget (1876-1926) was the first to "modernize" Bradford’s spelling. He has a good 16-page introduction and a helpful index, but very few footnotes. Publishers of Paget's edition include: the Classics Club (1948), Vision Forum (1998), Dover (2006), and Amazon Digital Services (2014). First printed in 1920, it is now in the public domain, and free digital copies are found online. If you want a cheap edition of Bradford's history for casual reading, find a copy of Paget. 3) Samuel Eliot Morison (1887 - 1976) was a U.S. Navy rear admiral, so his maritime expertise adds to his credentials as a historian when compiling his numerous footnotes in this edition of Bradford’s book (first printed: 1952). His professorships at Oxford and Harvard (from which he earned his Ph.D.), his prolific output, and his many honors as a historian will likely keep Morison’s volume as the "definitive" edition of Bradford’s work for years to come. The original hardcover edition is still in print. The paperback Modern Library College Edition is more affordable, but does not contain all of Morison's notes, nor his appendices, which include some important material from Bradford himself. Francis Murphy's insightful 1980 eighteen-page introduction makes this edition worth having. If you need a copy of Bradford for high school or college research, this is a great choice – especially the original hardcover edition. 4) Caleb Johnson’s edition of Bradford’s journal is the only one that rivals Samuel E. Morison’s in painstaking research and the information offered. Though he is not a career historian, to call him a "lay-historian" would be a disservice. His website (MayflowerHistory.com) is essential for online Plymouth research and, as a Mayflower descendent, Johnson has a personal stake in his research. He is considered a foremost expert on the Mayflower passengers, in demand for interviews and guest lectures. The features of his volume include: many interesting illustrations, hundreds of footnotes (402!) enlightened by recent research, a thorough index, the inclusion of Mourt’s Relation (the Pilgrims’ own one-year report), and several invaluable appendices. Unlike many colonial historians, Johnson shows a familiarity with the biblical literature that so informed the Pilgrims’ writings and worldview. Using his own modernization of Bradford’s text, this is the one to acquire if you want an authoritative edition (for school or personal research) with thorough notes using the latest historical findings, and additional relevant historical documents. I have owned both the Harold Paget and Samuel E. Morison editions for years, but I wish I had Johnson’s edition a long time ago (I now own the Kindle edition). 5) My own humble offering in this arena is different in many ways because it serves different purposes. My volume is a thoroughgoing paraphrase of the first twelve chapters of Bradford’s history, covering the events of greatest interest: from the persecutions of the Separatist movement in England to their American voyage, and through their first year in New England, including their early relations with Native Americans and the "First Thanksgiving." I include a timeline of important historical events that flow into the stream that becomes the settlement of Plymouth. Bradford's obscure historical references to places, people, and events are all explained naturally within the text as part of the story. This is not intended to replace authoritative editions for serious research, but to supplement them with an alternative easy-to-read volume that remains faithful to the history of the Pilgrims and the writings and worldview of Gov. Bradford. This book should be good for students and casual readers as a faithful---yet clear and thoroughly modernized---retelling of Bradford's history, a clarifying supplement to Bradford's original tedious text, or as just a good read for history lovers who want an easier, more enjoyable version of the original Pilgrim story. CLICK HERE for an easy to read version of the original Pilgrim story.